Since 2006, the staff and attorneys of Blasingame, Burch, Garrard & Ashley, P.C., have led efforts to hold the manufacturers and sellers of defective surgical mesh accountable for the harm they have caused to patients across the nation. In 2010, Garrard successfully led efforts to create the Bard pelvic mesh MDL, or multidistrict litigation. He was appointed by the Court as co-lead counsel for the plaintiffs in the Bard pelvic mesh litigation. In 2012, Garrard and the firm also succeeded in efforts to create the MDLs involving American Medical Systems, Boston Scientific and Ethicon, and to have those cases transferred to the Southern District of West Virginia for coordination before the same court handling the Bard cases. Three other pelvic mesh MDLs have since been coordinated before the same court. Garrard was appointed as “Coordinating Co-Lead Counsel” for the Plaintiffs in all seven pelvic mesh MDL’s, and another of the firm’s attorneys, Josh Wages, was appointed to the Plaintiffs’ Steering Committee in all seven MDL’s. The seven pelvic mesh MDLs involved more than 100,000 cases, and our firm has coordinated with lawyers from around the country to work toward resolution of many of these cases. Garrard also devotes significant time to educating the legal community about the defective mesh litigation, as well as other defective medical devices and other products. He has served as co-chairman of the American Association for Justice’s Transvaginal Mesh Litigation Group. He has given presentations for AAJ meetings and teleseminars, and he has spoken to other lawyer groups, seminars and workshops across the country. The defective hernia mesh attorneys of Blasingame, Burch, Garrard & Ashley, P.C., have the skill and experience that comes from having litigated defective surgical mesh cases since 2006. We are dedicated to seeking justice for men and women who received defective hernia mesh implants. We will work diligently to ensure that our clients are able to seek fair compensation for their injuries. 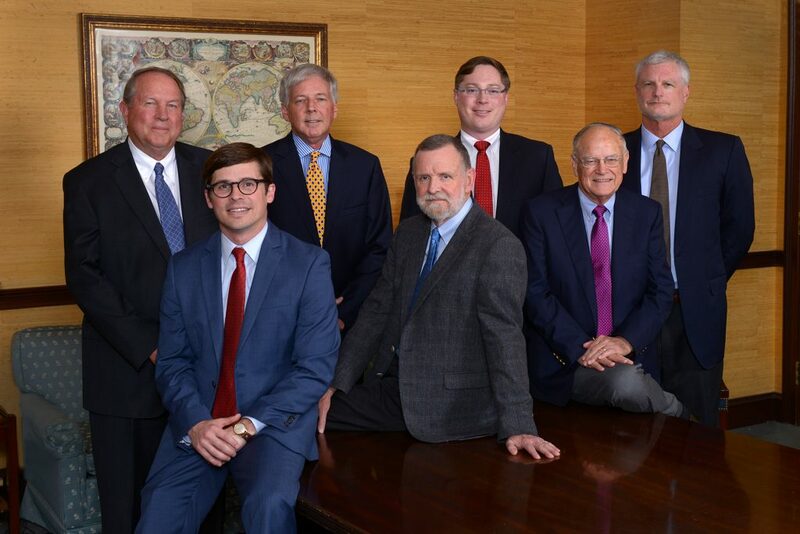 Blasingame, Burch, Garrard & Ashley, P.C., is an Athens, Georgia-based law firm that has been widely recognized for our ethics, skill and professionalism by Martindale-Hubbell®, The Best Lawyers in America, Super Lawyers and Law & Politics Media/Atlanta Magazine. Three of our hernia mesh product liability attorneys are Fellows in the American College of Trial Lawyers. To learn more about our firm or to discuss your case, call us today toll-free at (866) 354-3544 or use our online contact form. We provide free and confidential case evaluations to patients who believe they may have suffered injury from defective hernia mesh. We also accept referrals from attorneys across the United States. No matter what hardship you have been through, the law firm of BBGA will be with you every step of the way. Not only with wisdom, guidance and years of experience but with integrity, support and putting you first. I truly can't say enough. The people at this firm really do care about you and what you have been through. They fight for you and defend you every step of the way. I felt like they were more like family than a law firm. BBGA's staff and attorneys are the best..and they were the best choice for me. I appreciate your expertise, diligent work and time involved on my behalf in this matter more than I can adequately express. At the beginning of the process a few years ago, in consulting with my hometown friend and local attorney in Macon, you were highly endorsed as “the Best in this specific arena”. At his encouragement and recommendation, my husband and I decided to pursue this process with your firm and are extremely pleased with the outcome. Thank you, thank you, thank you and may you all have a great and very blessed year ahead in 2017! Sara Schramm and the mesh support staff are a very special group of people. The mesh lawsuit was a tremendous effort that was very well organized from the beginning to the end. Every single person that I was ever in contact with, from the first person to answer the phone and all the transfers to this person or that group, always sounded like they had a smile on their face and that they were genuinely concerned as to why I was calling. BBG&A is a law firm that you can feel 100% confident in choosing. They have a common goal of making you feel important to them. It wasn’t just a job to them, they actually cared, and I could sense it. I was so impressed with the fact that every single contact I had, always ended on a pleasant note, even if the news was not great, they tried to keep me feeling positive. BBG&A is not your average plaintiff firm, they are, they were, and I feel they always will be…an exceptional law firm. It is obvious that great care was taken in selecting every single person to produce such a special group of attorneys and support staff. My husband and I were always confident that the important things were being dealt with logically and in a timely manner – and that we were accurately represented as to how we really suffered and our own personal battles on a daily basis. Thanks – It seems such a small word for all you’ve done! I sincerely want to thank you for accepting my mesh claims and winning me a generous settlement. 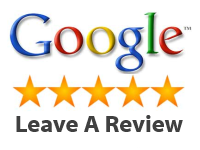 Your entire staff was always patient, polite and helpful and I’m most appreciative for their assistance. Best wishes to all for a Merry Christmas and a healthy Happy New Year. As a lawyer in Moultrie, I occasionally like to get help on my more complex personal injury cases, and I associate Jim Matthews when I need that help. He interacts directly with the clients and has always led them down the correct path. All of our cases so far have settled to the clients’ satisfaction. I only want the best for my clients. Sometimes that means placing their case with a firm that has the specialized experience to get maximum justice. -that is exactly what Sara Schramm and her team at Blasingame Burch Garrard and Ashley, PC did for my clients who suffered because of defective Mesh." I only want the best for my clients. Sometimes that means placing their case with a firm that has the specialized experience to get maximum justice. -that is exactly what Sara Schramm and her team at Blasingame Burch Garrard and Ashley, PC did for my clients who suffered because of defective Mesh. My wife and I sincerely appreciate all that your firm did for our case. A few years ago, we really felt as though the system had failed us when no lawyer would accept our case. Fortunately for us, you did. My wife often says that no amount of money will ever be worth her suffering. In spite of that, this settlement is the closest thing to justice that she will ever see. We recognize that her increased settlement was a direct result of your outstanding professionalism and hard work on her behalf. Thank you for your dedication. To all of you at the law office that worked so hard for me – Thank you! Thank you for fighting for me when I couldn’t! You all did what we couldn’t and I am extremely blessed to have found your help. God Bless You All. I would like to take this opportunity to tell you how much I appreciate you and your firm for handling this mesh issue. Unfortunately, it changed my life in ways that we will never recover due to the length of time it took me to figure out what my problem might be. People, including me, always thought some people just sued for money unnecessarily. In our case, the settlement will save our house. But, it won't bring back personal issues for my husband & myself due to length of time and migration of the mesh, which makes me a bit sad & angry. I'm not sure it was all removed still. I never would have thought 5 years ago, when I was still working, that in a couple years we would find ourselves in this situation. Early retirement and financially strapped. Thank you for your kindness throughout this ordeal. I know I speak for many. Thank you all for being our voice. This was my first (hopefully, last) experience with a lawsuit. I certainly did not know what to expect, but I was pleasantly surprised at the kindness and respect I have received from all of you and your staff. I probably called your office less than five times during the process – always reluctant to bother you. To my relief, I was NEVER made to feel that way. From the, always, prompt answer to my dial, the cheerful, professional receptionist, (even when I wasn’t sure of a last name! ), to the empathetic professionals who always were MORE than courteous – I have never been left feeling uncared about. You were all amazing to work with, and your professionalism was above anything I would have expected. It says a lot that I received this kind of attention on a relatively small case – my memories of this experience will be of awe and high regard for each and every one of you. Merry Christmas to you & everyone at Blasingame, Burch, Garrard & Ashley. We appreciate all the hard work you have done for us. May God bless everyone there who has contributed to helping us find justice with our case. Everyone has been very compassionate & understanding through all our ups & downs. May all your dreams come true in the New Year 2017. Again Thank You. What date did you have surgery to implant the hernia mesh? Have you had surgery to remove or revise the hernia mesh? Surgical Mesh Help - Blasingame, Burch, Garrard & Ashley, P.C.